At last I've got around to doing this newsletter. The automatic counter reminds me its over 8 months since our last one. Welcome to our new registered members. This year we have had a hugh increase in visitor numbers to our webpage, as more people find us, and (hopefully) enjoy the galleries. A new 3/16th webpage by Grant Morrell is online. To view, use the link on our 'Links' page. Well worth a look. 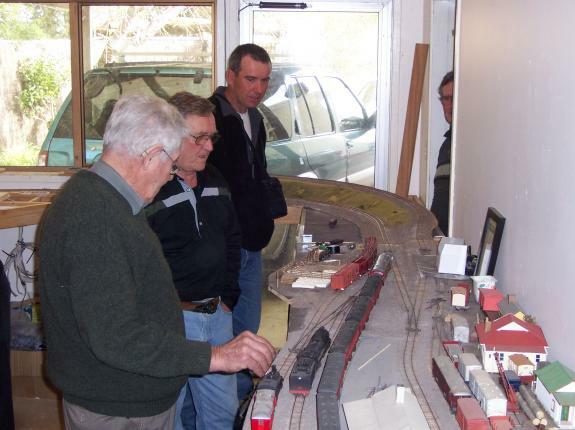 We've now completed our goal of attending the local public shows, with the NZR layout. Starting in Rotorua late 2007, then our own show, April 2008, plus Taupo and Hamilton, and finally, Tauranga in January 2009. Again I thank those people who have helped along the way, especially Grant, Kevin, Tim and Daryl. 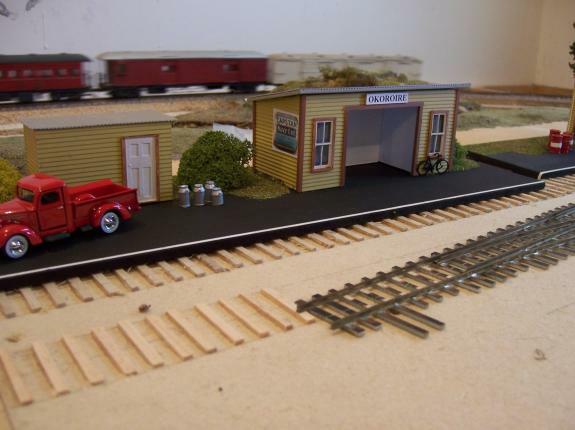 The layout is presently stored with the Tauranga MRC at Te Puna, awaiting a decision on its future. Late last year we had 2 gatherings at members homes. The first was at Verns, where his layout changes and new trackage were viewed. Also a number of modelers brought along some of their work with station buildings by Brett, 3/16th Bf wagon by Grant, and nz120 rolling stock by Len. The second meeting was hosted by Brett. Everyone present poured over the detail scenes, that Brett had created on the layout. Brett gave an informative presentation on using natural products for creating scenery. While in Hamilton, we made a visit to Brians for a look at his Raurimu Spiral layout. Jeremy, our web. admin., has spent a lot of time reconfigering the webpage, and how its works. This includes continuing work on the 'members only' pages, and as these are developed we'll let you know. This year some of the member layout galleries are now loaded for viewing. 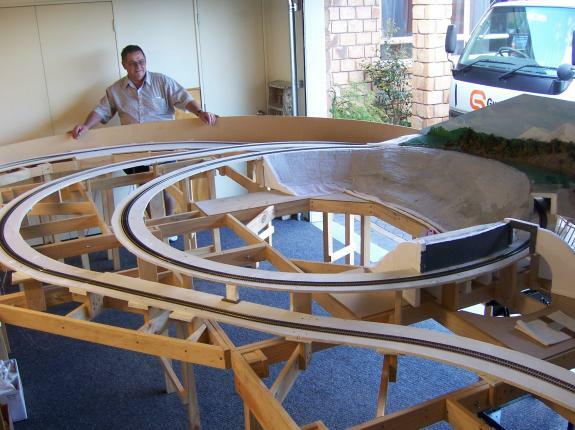 A visit with Peter L. and his new layout was of considerable interest as ,through a lot of planning and thought, his layout framework is up in his double garage. But to best utilise the space it is 6 feet off the floor, with platforms in the aisles. This enables the family to use the space under the layout everyday. Great idea, Peter! 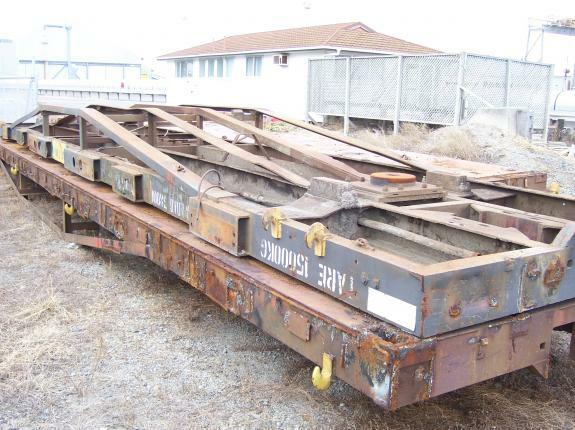 A visit to the Mount yards sees a number of Usl wagons being dismantled, as well as the track laying train in the district for the last couple of weekends. Steam Inc. is operating a steam train service in Tauranga, for the Jazzfest, over Easter weekend, this year. Check Ticketdirect for details.